ROAR says, "Thank you #Ridgefield!" ROAR-Ridgefield Operation for Animal Rescue held their Stuff-a-Van fundraiser today in front of Stop & Shop to collect dog and cat food as well as treats and kitty litter for their Pet Food Pantry. "The generosity and kindness of people who stopped by was overwhelming. 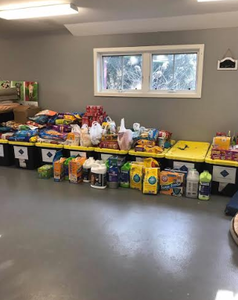 You gave supplies and cash donations to help feed many cats and dogs of people in need," said ROAR. Thank you, Ridgefield for supporting our local furry friends and the people who love them.